Obituary for Essie Mae (Gross) Beasley | Jolley Memorial Chapel, P. A.
Essie Mae Beasley, 94 of here died Friday, January 11, 2019, at Deer’s Head State Center in Salisbury. Born in Georgia, she was the daughter of the late Elbert Gross and Vernella Jordan Smith. She retired from the former Campbell Soup Co., Inc. after 35 years of employment. She was also a former distributor for the Shaklee Company. 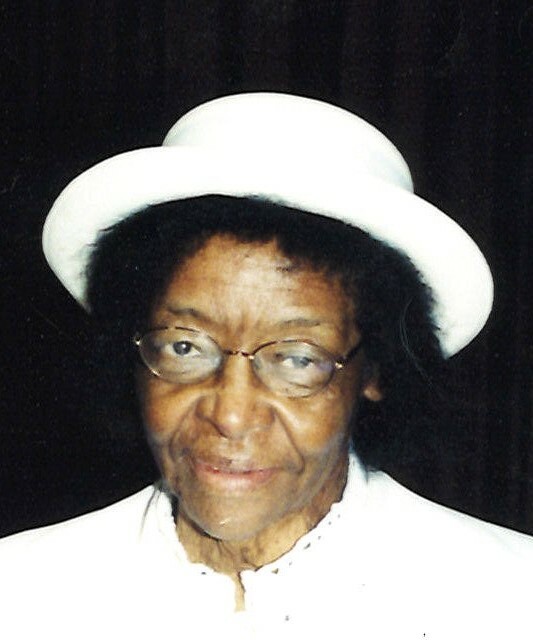 Essie was a member of United Faith Church of Deliverance where she served as a Church Mother, Prayer Warrior and formerly served with the Kitchen Committee. Mother Beasley touched the lives of several young people. Her survivors include four daughters: Lurdine Beasley-Bivens of New Field, NJ, Josephine Lynn, Mary Cook and Lovi Jackson, all of Salisbury, MD; a niece whom she reared as a daughter; Kimyatta Tolbert of Princess Anne, MD; two grandchildren: Pastor Lynette Lynn Horton of Capitol Heights, MD and Isaac James Cook, III of Salisbury, MD; four great-grandchildren: Rashaad Horton, Joran Coleman, Lamisha Cook and Isaac Cook IV; eight great-great-grandchildren; three sisters: Maris, Odisteen and Helen Gross; one brother Edward J. Gross and a host of nieces and nephews. A sister, Perethel Jordan preceded her in death. A funeral service will be held 2:00 pm Saturday, January 19, 2019, at United Faith Church of Deliverance in Salisbury where friends may view two hours prior to service. Interment will be 10:00 a.m., Monday, January 21, 2019, at Springhill Memory Gardens in Hebron, MD.